Why Store your Bullion with Us? Storing gold and silver isn’t anything new, people have been successfully storing bullion in the form of bars and coins for centuries. The physical possession and control of your investment is one of the key benefits of investing in physical bullion. Now in addition to our fully insured home delivery service we are offering customers a high security, insured and fully allocated storage solution. Bullion in allocated storage is owned fully by the investor and is placed in individually segregated boxes in secured vaults at Brink's for safekeeping. We strongly believe that our allocated vaulting service offers a far more secure solution to more traditional safety deposit boxes. Bank safety deposit boxes are not only scarce, but the idea of storing your bullion within a bank will for many defeat the object of owning physical gold, this therefore makes allocated storage an appealing option for many investors. Allocated storage with BullionByPost has a wide range of benefits to the individual investor, these are explored below. Our allocated and fully insured storage solution with Brink’s, the industry leaders in risk management and secured vaulting, gives you peace of mind that your investment is safe. Additionally, our storage facility is independently audited by Grant Thornton, one of the world’s leading independent assurance and advisory firms. BullionByPost’s storage service really is the safest option for holding your high value bullion. Storing with BullionByPost gives you the option to hold fully allocated Capital Gains Tax (CGT) free legal tender in the form of British Sovereign and Britannia coins . If you are planning substantial investment in gold then British legal tender coins will offer you the ideal combination of value for money and CGT flexibility. Choosing storage with us gives you the flexibility to buy, sell and store in one convenient place. 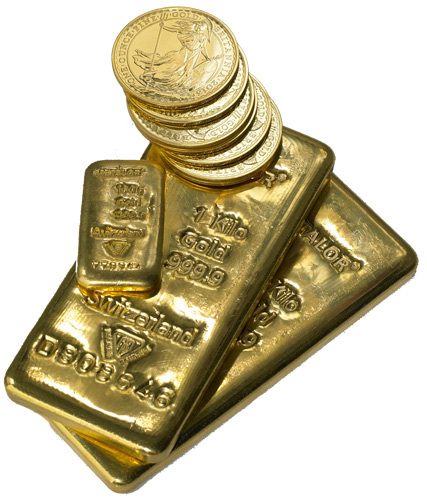 If you are selling your bullion back to us extraction from Brink’s vaults is free, funds will be paid by bank transfer into your linked account which was set up when you opened your account. Physical delivery can be requested at any point, simply call us during office hours and arrangements can be made. The BullionByPost storage option allows you to own physical bullion as opposed to ‘physically backed’ or ‘unallocated’ bullion. Your stored investment will remain your legal property in individually segregated storage with Brink’s and can be requested for physical delivery at any point. Buying and storing with BullionByPost will allow you to hold assets outside of an unstable banking system. Holding assets outside the financial system reduces your personal exposure to banking related risks whilst also diversifying your wealth distribution. If you have any questions about storage contact our knowledgeable and friendly team on 0121 634 8060 who will be happy to talk your through any queries you may have. Alternatively, you can e-mail us on: [email protected] and we will get back to you as soon as possible. View out top 5 gold investments and our top 5 silver investments .